Behold the edge! 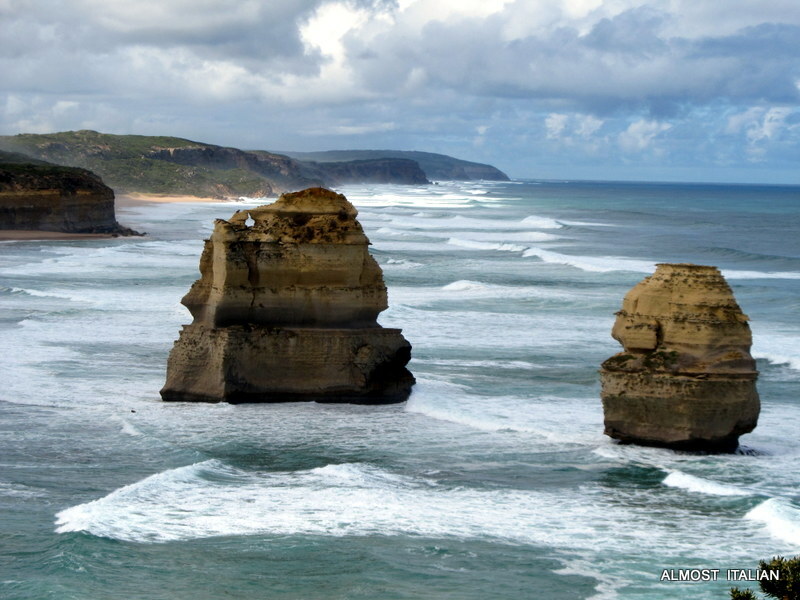 A trip down the Great Ocean Road is a rewarding experience with glorious views of the edge of Victoria, Australia, all the way from Lorne to Port Campbell. It is a roller coaster ride and the best road trip to do if you are visiting this state. 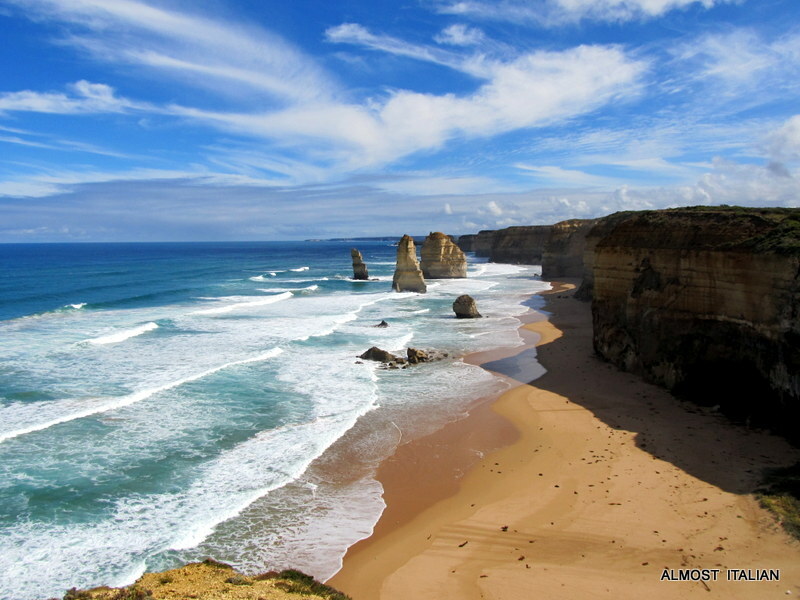 The edge of Victoria looks gnawed by the sea at the 12 Apostles, near Port Campbell. These stacks, arches, caves and stumps look dramatic at any time of the year and slowly change over time. One day an arch, the next day two stumps. 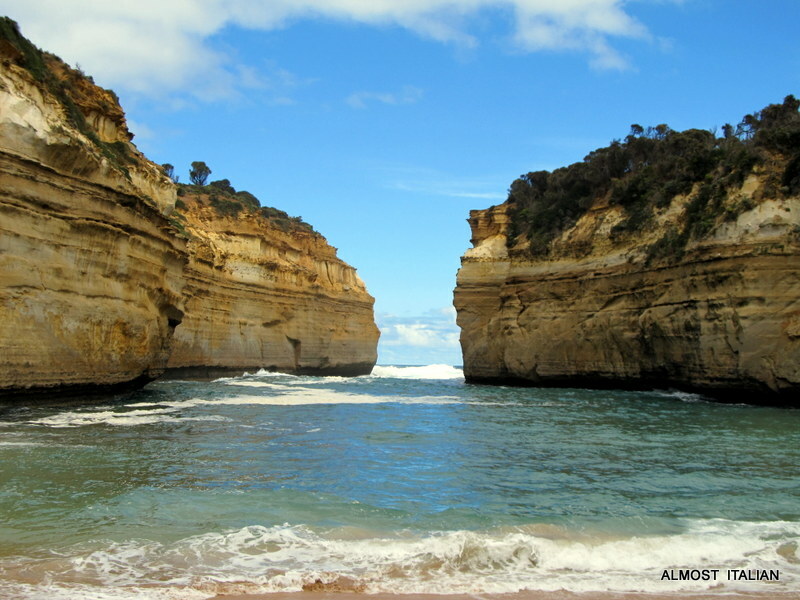 Visit Ailsa’s Travel Theme: Edge this week at Where’s My Backpack. Francesca, these photos are gorgeous. 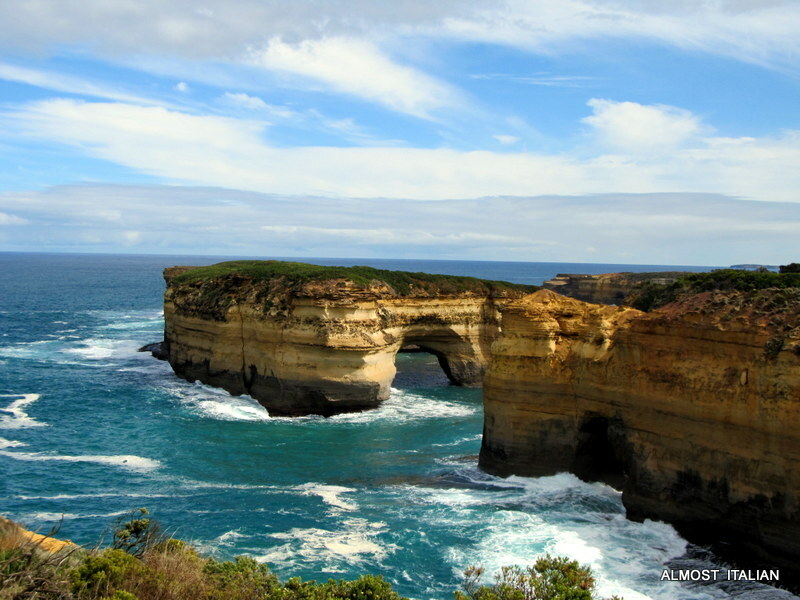 This post rekindles my long-time desire to visit Australia! You must come one day. Melbourne also offers plenty of Italian cultural experiences too. It has been too long since I have visited this coastline. I must do it again very soon. Your photos are inspiring. I love this themed use of your photo archive, Francesca, very interesting. I also enjoy seeing how your mind works to interpret the them each week. 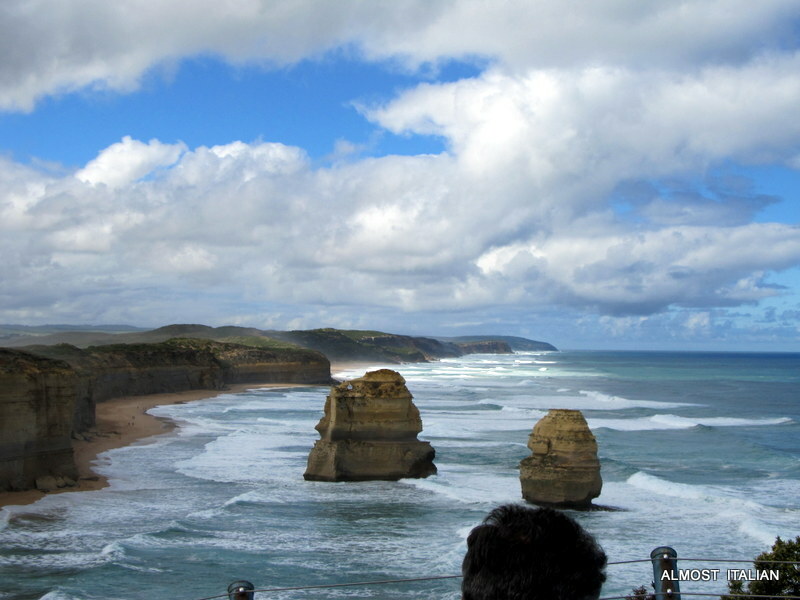 We recently drove the Great Ocean Road again and it is spectacular. Beautiful post. These photos are astounding! My wanderlust meter just went up several notches. Wow! Yes I think last count there were seven or eight when we visited the Apostles! It has been far too long since I have visited this coastline. I must do it again very soon. Your photos are inspiring. Yes, a trip down there blows away all the cobwebs. Then sit on the beach at Port Campbell and eat fried garfish and chips. Previous Previous post: Sourdough with Rye and Wholemeal. A Family Loaf.